Have you recently received a bottle of amaretto and been wondering what kind of drinks to make with it? Or perhaps you remember seeing this Italian almond-flavored liqueur in your parents’ liquor cabinet and have always been curious about trying it. Well, here are a few delicious cocktails that are sure to make you a big amaretto fan. This is probably the best-known drink made with amaretto. Add amaretto, simple syrup and lemon juice into a shaker filled with ice. Shake, then strain into a glass filled with ice. Garnish the glass with a maraschino cherry and a slice of orange. This is the unofficial drink of the University of Alabama. It is so popular that a Tuscaloosa bar called Gallettes sells approximately 4,000 to 5,000 of these potent drinks during every home football game. Pour into a 20-ounce cup filled with ice. It is rumored that Marlon Brando, the actor who starred in the original "The Godfather" movie, loved this drink. Add scotch and amaretto into a cocktail shaker filled with ice and shake. 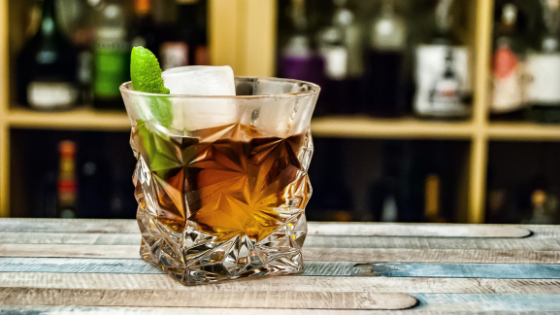 Strain into an ice-filled old-fashioned glass filled with ice. These drinks would be perfect to serve to your friends in our beautiful apartments in Atlanta, Georgia. Each of our one- and two-bedroom apartments boast gourmet kitchens with granite countertops and stainless steel appliances. Our community also offers a resort-style pool, a 24-hour fitness center, and even a yoga studio.